The 30-year-old actor explained when the singer – who is expecting twins, a boy and a girl, in the next few weeks – was taken to hospital with signs of early contractions over the weekend, he was very worried. Nick told the Los Angeles Times: “They're calling it a 'scare', but really, it was just nerve-wracking. We were in the hospital from 4 a.m. until I don't even know. “The thing with twins is that you want them in their natural incubator as long as possible. They might be ready to come out, but we need them to stay in for a while." Despite the 42-year-old star being given the all-clear by medical experts, Nick admitted she is “super ready” to welcome her babies into the world. 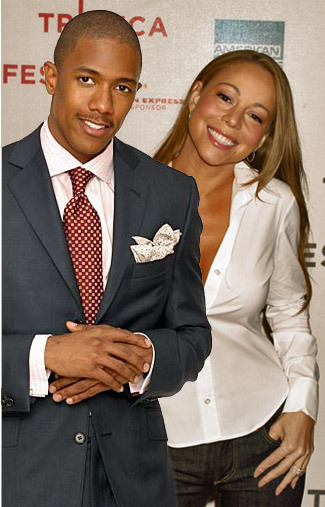 The actor-and-comedian recently confessed he is concerned he may faint when Mariah eventually gives birth. Writing on his twitter page, Nick joked: “I am probably going to faint in the delivery room! I need to man up! “Or maybe I should say WOMAN UP since they are the ones that have to be the strongest in the whole ordeal! I am in awe of my wife!